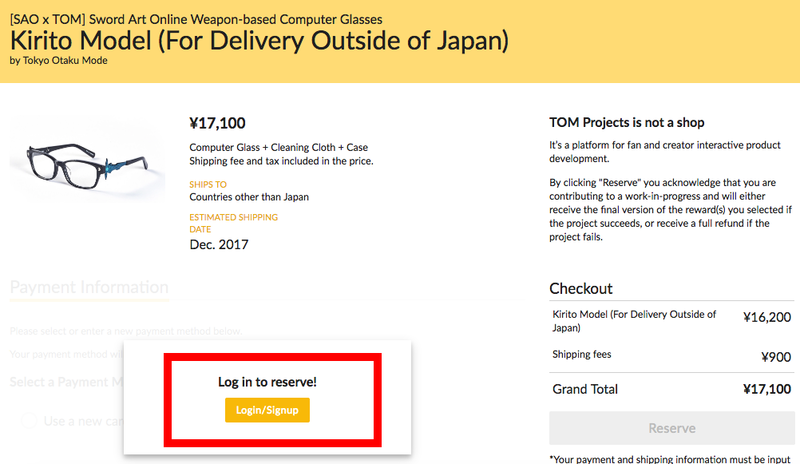 Thank you for visiting our TOM Projects “Sword Art Online Weapon-based Computer Glasses” page! Please find below a detailed guide about how reservations can be made. 1. Choose the reward you want to reserve. 2. Please log in to your Tokyo Otaku Mode account or create a new account. *Accounts can be created for free. Create an account with your email address and a password, or by using your Facebook account. 3. Enter your payment and shipping information. ・Paypal: After entering your shipping information, click the “Reserve” button. 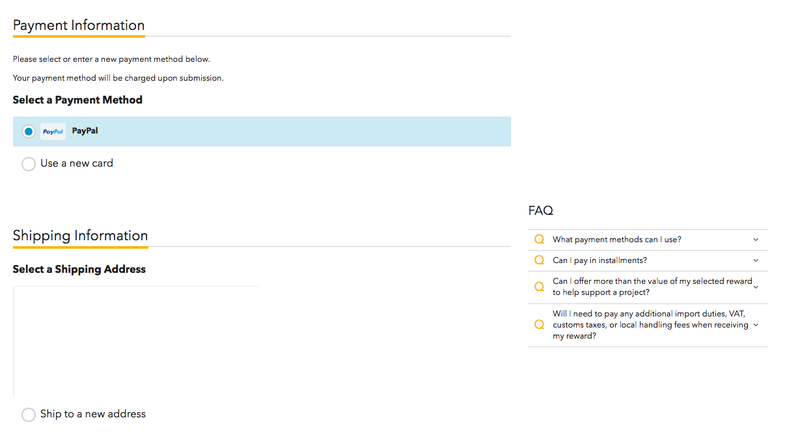 You will be directed to Paypal where you can log in and complete your payment. Credit cards: After entering your credit card and shipping information, click the “Reserve” button on the right. The “Reserve” button can be clicked after all the information needed has been entered. 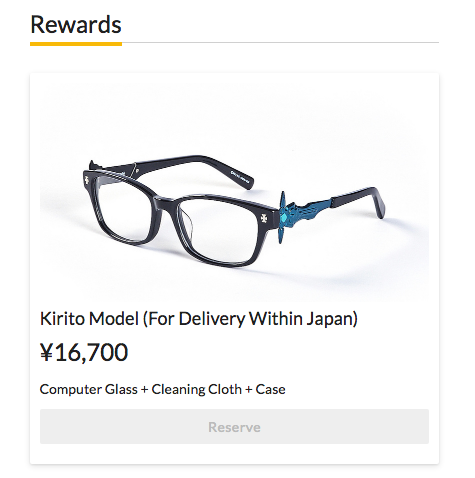 Please click this button and reserve your reward. If you have any questions, please feel free to contact us at support@tokyootakumode.com.